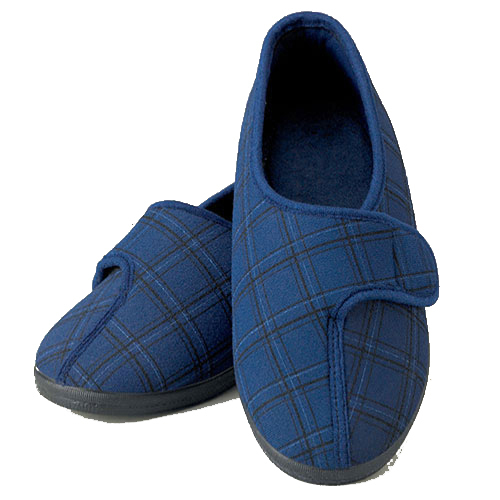 These high quality slippers for men are ideal for the elderly their large apertures will accommodate swollen feet with ease and in outstanding comfort. 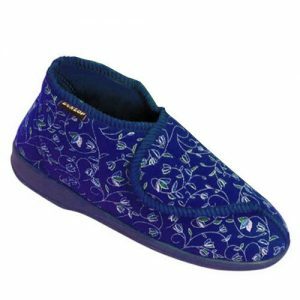 These high quality slippers for men are ideal for the elderly their large apertures will accommodate swollen feet with ease and in outstanding comfort. 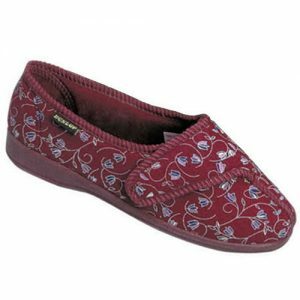 A Velcro-style fitting on each ladies slipper makes sure that the user’s feet are kept warm and securely fastened. 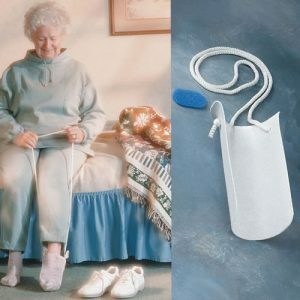 Machine washable for improved hygiene and have non-slip soles to prevent potentially dangerous slips and falls. 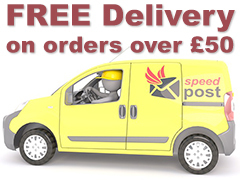 Available in Blue only.